Oak wood is one of the best varieties of hardwood the world over. The oak tree has a long lifespan. Hence, it is but natural that the timber it produces will be incredibly strong and durable. Oak wood typically comes into use in joinery and furniture making. American oak veneers and European oak veneers are among the most popular types of veneers derived from oak trees. Veneers refer to thin coverings of wood. They come into use extensively in the woodwork industry. Workers glue these FSC certified veneers onto boards such as MDF, chipboard or plywood. In many cases, veneers will not exceed 0.6 mm in terms of thickness. This feature makes veneers easy to work with, manipulate and adhere on to boards. When adhered to a board, the veneer will feature on the outermost layer, thereby giving the board the look of a solid wooden board. How Does American Red Oak Veneer Differ from American White Oak Veneers? Suppliers of FSC certified veneers will invariably stock an array American and European oak veneers. American Red Oak veneers come from the Quercus rubra tree. In contrast, the American White Oak veneers come from the Quercus alba tree. Although they share some similarities, these American oak veneers are very distinctive. For instance, the red oak veneer will feature a pinkish tint that is lighter than the white oak veneer. The latter will usually be darker and yellowish-brownish in colour. Red oak veneers have stronger grains than their white oak counterparts. However, white oak veneers will be harder than their red oak counterparts. Solid American Oak Versus American Oak Veneers – Which Material is Better? Products featuring solid American oak will invariably be heavy. They will feature attractive wood grain finishes too. In terms of visual appeal, oak veneers can emulate the look of solid oak. But, the latter will still retain an edge over the former. Over time, solid oak products can develop scratches or dents. But, you will be able to sand and re-treat these marks to eliminate them. In oak veneers, repairing these marks can be problematic. Lastly, in terms of energy efficiency, solid oak remains impermeable to cold and damp. Hence, it can yield savings on your energy bills. However, oak veneers are among the best FSC certified veneers in Australia. Not many people can afford furniture, doors etc. made of solid oak. But, oak veneers exude high-quality looks at imminently affordable prices. Oak veneers also offer seasonal durability. So, they will not develop splits along the grain caused by fluctuations in the weather. Lastly, workers can etch intricate designs into veneers easily. So, you can customise the appearance of your furniture, doors etc. with veneers. Achieving this on solid oak will be much tougher. At Processed Forest Products you can expect to receive high-quality products each time you shop. 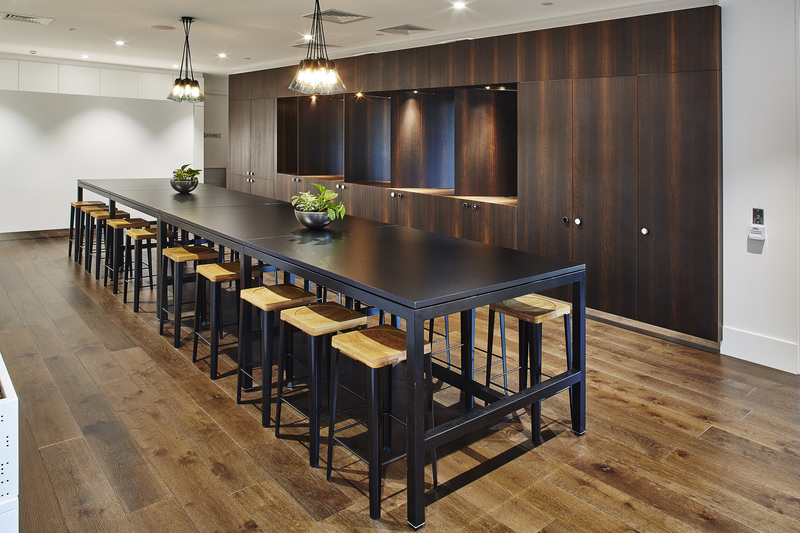 Since 1974, we have earned renown for being one of the leading manufacturers of timber veneer. From American oak veneers to Compac laminates, we have it all. Check out our range of FSC boards and veneers here. How To Choose The Right Timber Veneer Board For Your Design Projects?